Have teeth replaced by having dental implants inserted. 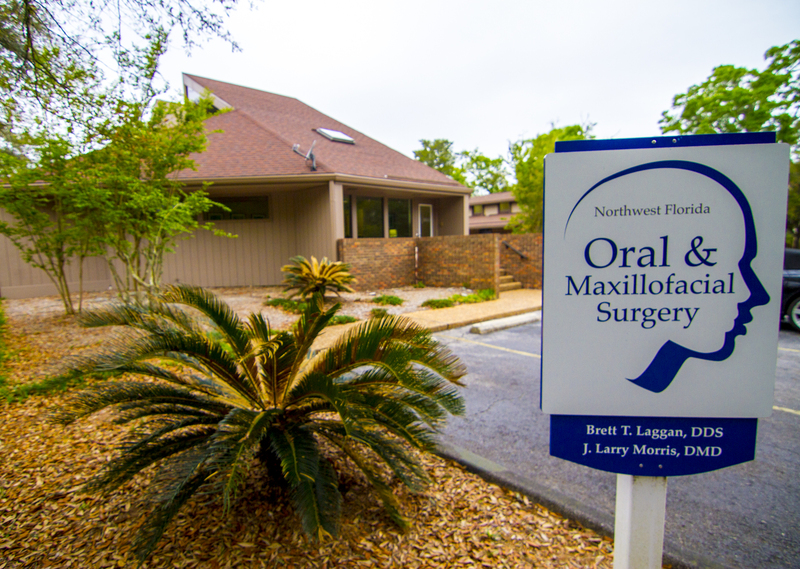 Have oral surgical procedures performed in the office under outpatient ambulatory anesthesia. Have a jaw cyst or tumor diagnosed, removed and reconstructed. Have your jaw joint repaired with TMJ surgery. Have your facial bones realigned after facial trauma. Oral & Maxillofacial Surgeons have extensive training in office-based ambulatory anesthesia and are eligible to be licensed to provide general anesthesia and deep sedation for their patients. Dr. Morris, Dr. Laggan, and Northwest Florida Oral & Maxillofacial Surgery have successfully completed the American Association of Oral & Maxillofacial Surgeons (AAOMS) Anesthesia Evaluation program and the Florida Department of Health Anesthesia Evaluation Program.